Gharb, Maltese for west, is the westernmost village of Gozo. Gharb is a place of intense natural beauty especially in the area around the ancient chapel of the bishop–martyr San Dimitri, of legendary fame. The story goes that, after an old woman beseeched the saint to save her only son from slavery, San Dimitri left the altarpiece on his flying stallion and soon brought back her son Mattew. The village has one of the most architecturally perfect churches in Gozo. It is designed on Francesco Borromini’s, Sant’Agnese in Agone at Piazza Navone, Rome. It was dedicated to the Visitation of the Virgin Mary to Elizabeth. There are beautiful sculptures on the exterior and the interior. The parish was at first established during the bishopric of Michael Molina on 29 August 1679, the second parish (after Xewkija) to be established outside the town of Rabat. Its first seat was the still standing chapel of the Visitation of the Blessed Virgin Mary to Elizabeth, known popularly as taz-Zejt. This proved itself too small and the parishioners decided to build a new church. Its foundation stone was laid in 1699 and the parish was transferred to the new church around 1729. It was consecrated on 28 September 1755. 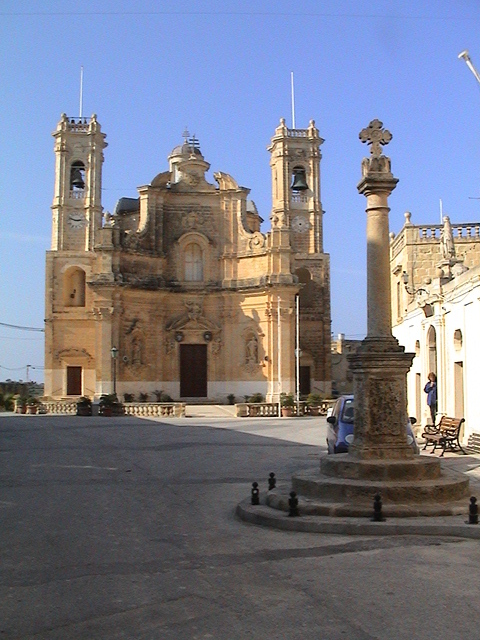 On 19 May 1774, the second Collegiate of Gozo was founded at Gharb and the parish church became also archipresbyteral.